Oh what a sad picture. In case you are unsure as to what is happening here, it is Soigné smushing the dear and beloved O Wonderful One, Sinai the Great, Divine Ruler of Everything. Boo hoo. 1.) Sinai is an adorable little child rat. She has a big, cute tummy with a little black dot on it, and she smells super delicious (not in the edible way). Her fur is a lovely shade of SinaiBlaak™, which nicely complements her darling jumbo-sized ears. Her voice is very soothing to the ears, and her tail is a charming multi-colored shade. Her whiskers are long and fluffy, and her nose is adorable and light pink. Everyone wants to look like Sinai. How many durians does Bobby-Hector have in his school satchel? 3.) Does Bobby-Hector’s school satchel smell very bad from holding all those durians? 5.) Soigné farted on Sinai’s face? How much money should Sinai sue Soigné for? 6.) Soigné is being a huge p.i.t.m.t (pain in the monochromatic tail). Sinai doesn’t want to get involved with court. How can she effectively get rid of Soigné for at least one day without doing anything super violent? 7.) You are going to pass this test. 8.) The idea that Sinai hates Soigné is just a show-act. In reality, Sinai quite likes her dear sister. She only pretends to hate her for publicity and attention. Also, Soigné does not act like the p.i.t.m.t. that Sinai portrays her to be. 9.) Sinai ate all of the durian that Bobby-Hector had stored in his school satchel, and now her breath smells absolutely horrid. No one wants to be within ten miles of her. 10.) I love Sinai, you love Sinai, he/she/it loves Sinai, we love Sinai, you love Sinai, they love Sinai. EVERYONE LOVES SINAI! What quiz? This quiz, silly. To figure out if you passed or failed this quiz, tally up your points. Each regular question (1-81) is worth 1 point, and the bonus is worth 100 points. If you got 181 points total, congratulations, you passed! (That is, unless you assumed the answers were to be posted last Friday. Then you failed.) If you got 180 points or fewer, I’m sorry (not really -Sinai), but you failed. You also failed if you didn’t do the quiz. (SHAME ON YOU FOR THINKING NO ONE WOULD NOTICE.) Punishment for failing the quiz is being marooned on a tiny island in the middle of the ocean for the rest of your life. Reward for passing is a [imaginary] certificate and a jar of air that was in the presence of Sinai the Great, the wonderful rat who created this quiz and chose the prizes! 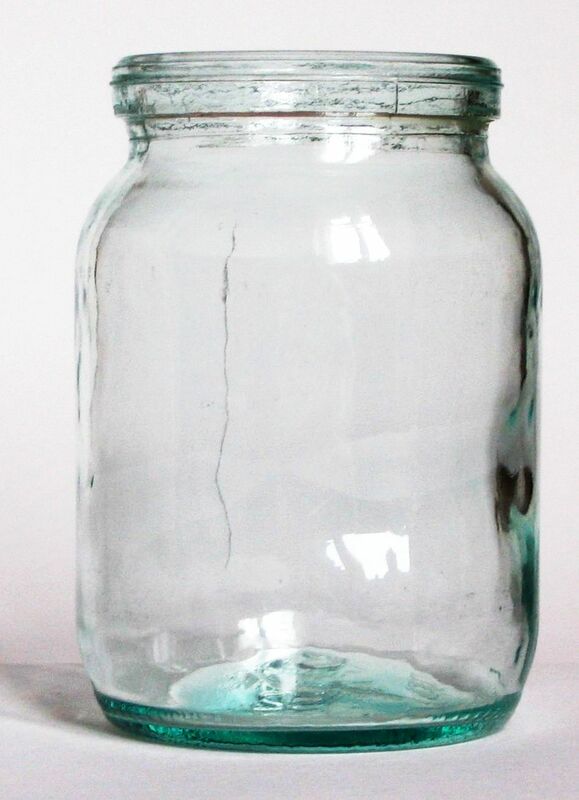 One half of the prizes you will receive if you passed the very easy quiz that everyone better have passed, even though Sinai only has one jar of air to give away. This quiz is a very easy quiz. You just have to get all of the questions right, which can’t be hard because there’s only eighty one of them, and they’re all multiple choice. If you don’t, you are sent into exile on a tiny, uninhabited island in the middle of the ocean to live out the rest of your life. If you do get them all right, you get an imaginary honorary mention certificate and a jar of air that was in the presence of Sinai the Great*. And who wouldn’t like an imaginary certificate and a jar of air*? Not me. I would love to have those things and would prize them for my entire life even above the picture of Sinai I have that I downloaded and printed from the computer. Now that you know the wonderful rewards one gets for completing this quiz (properly), are you excited to start? I know I am! So let’s go! 1. Who is your favorite rat? 2. Who is the smartest rat to ever walk and breathe on this very earth? 4. What is your favorite rat’s full title? 5. Ianis Th’glib is neither of the following rats, but which is she most definitely NOT? 6. Soigné spells her name S-O-I-G-N-É on purpose to confuse people, but how is it really spelled? 7. What is the only good trait Soigné has? 8. Complete the sentence. Sinai is very _______. 9. What is Sinai’s full name (not her title)? 10. Who is a dear friend of Sinai? 11. Who is another dear friend of Sinai? 13. What is Sinai’s lucky number? 14. What is your favorite rat’s favorite color? 15. Which does not belong on the list below? 16. Sinai and Mojave are both siblings to wonderful and internationally beloved rats, and they also are both unworthy of being related to said internationally beloved rats. What is one difference between these two disgusting shames to their families? a. One is a girl, the other a boy. b. One is female, the other male. d. One is more feminine, the other more masculine. 19. How easy is this quiz? 20. Well we are almost a fourth of the way through. Any words? b. I really love Sinai. 21. If you answered D to the last question, please explain WHY you chose that particular answer. d. I actually do prefer Soigné. 23. Blah blah blah blah blah blah blah blah blah blah blah blah blah blah blah blah. 25. Just to clarify, who is your favorite rat again? 26. Are you sure? Here is a second chance to change your answer. 27. This is your last chance. Pick who is your true favorite. 28. Who has the shortest, yet most dignified name of the listed below? 29. If Train A leaves Sinaiville at 100 miles per hour, and Train B leaves Nainington at .01 miles per hour, which one has the sacred blessing of Sinai the Great bestowed upon it? d. Sinai can bless trains?! 30. What is the most irrational fear listed below? 32. Sinai is related to Soigné. Reaction? c. OH GOOD GRACIOUS SINAI HOW CAN THIS BE?! Soigné is so unlike Sinai that I cannot believe it! 33. Soigné has two apples in one paw, three pears in another, fourteen watermelons in yet another, and eighty-six pineapples in her last paw. She also has nine cantaloupes in her mouth, five passion fruit balanced on her back, and a guava hovering above her head by evil witchcraft. Lastly, she has seventeen baby kiwis in her stomach and her tail wrapped around a durian. What does she have? a. A lot of fruit. b. 138 fruits, to be exact. c. A day in court for robbing a fruit stand. 34. What is Negev’s correct full title? 35. What color is Negev’s fur? 36. What is the general direction of weather in the United States? 39. Why did the chicken cross the road? b. Because he wanted to. 40. For T to be acknowledged in the alphabet, what must happen? 41. Who is your favorite rat (please answer again)? 43. You start coughing. What should you do? 44. Continue the pattern: 4, 4, 4, 4, 4, 4, 4, 4, 4, 4, ? 45. How much does Sinai weigh? 46. What type of tail does your favorite rat have? 47. You had it figured out since you were in school/Everybody loves ______, everybody loves ______. d. not Taylor Swift again! 48. What question would this be in base twelve? 49. In what year was Rome founded? 51. What is a yepsen? 52. What does natiform mean, then? 53. When was you favorite rat born? 54. Why does February have only 28 days? a. Augustus wanted 31 days in his month like how his dad had 31 in his (July), so he stole one from February. b. It wants to be that way. c. Sinai told it that since it did not worship her for long enough one day, it would only have 28 days. 55. Who has the worst sibling ever? 56. Who is not Sinai? 57. How old would Sinai be in rat years if she was 2 human years old? b. Next time, won’t you sing with me? a. What is this nonsense?! 61. What does Soigné waste her huge paycheck on that is completely useless? 62. Finish the sentence: The most delightful, charming, funny, witty, hilarious, smart, intelligent, cute, adorable, kind, extraordinary, remarkable, attractive, lovable, beautiful, wonderful, and humble rat ever is _______. 63. Of the listed rats below, who is the most powerful being? 64. What is the square root of 64? 68. Who is the most unworthy rodent to walk the earth, especially of her gracious and loving sister? 69. The names below have been spelled incorrectly. Can you still figure out which rat is the greatest and most internationally beloved? 70. Which pair of siblings below is correctly matched? 71. Only ten more questions to go! What is a word that rhymes with “ten”? 72. What number would you add onto the end of 72 to get the number cubed? 73. Soigné has decided that she no longer wants all of her fruit and has decided to rob a candy store. She has sixteen lollipops, twenty-three hard candies, five boxes of chocolates, thirty-four gummy bears, a bag of marshmallows, one cash register, fifty-nine chocolate bars, one lamp, two square feet of tile, a former candy shop employee, twelve surveillance cameras, two sample counters, an open sign, and eight pounds of gummy worms all in one trash bag. If she puts her grubby paw into the bag, what will most likely happen? a. She will take a chocolate bar out. b. She will take a gummy worm out. c. The former candy shop employee will bite her paw. d. She will take a sample counter out. 74. What does time look like? 75. What is the purpose of life? b. I have often pondered this. 77. If you do not pass this quiz, what will happen? a. I will go on with life like it never happened. b. I will feel sad, but I won’t mind. It’s only a quiz. c. I will go into exile. d. I will throw my computer on the ground and smash it into tiny pieces. 78. Who has the most soothing voicing ever heard? 79. Continue the pattern: ♥, ☺, ♥, •, ♥, ☺, ♥, •, ? 81. What is always the answer? Will you pass this quiz? Please carefully think each question through before choosing an answer. There will be nine multiple choice questions and one essay to answer. An answer key will be provided on Sinai’s birthday (May 9th) so you may check your answers. Comment your essay on this article for it to be graded. Questions #1-4 are based on the above picture. You may also use your outside knowledge to determine an answer. 1.) Who is the most attractive rat in the picture? 2.) What color is the rat in the foreground’s fur? 3.) What is the full title of the adorable rodent in the background? 4.) Is this question based on the photograph? 5.) How much wood would a woodchuck chuck if a woodchuck could chuck wood? C. A woodchuck has better things to do in life than chucking wood. 6.) Are you going to ace this test? 7.) What is always the answer? 9.) What is Sinai’s lucky number? Please answer this question in complete sentences. Comment your final answer below. Sinai is a very beautiful and attractive rat. She has a most beautiful and delicate multicolored tail, but she also has silky smooth black and white fur. Not only that, but the little black spot on her large and very robust tummy is very charming and eye-catching. Her large ears that classify her as a dumbo rat are to die for, although you might want to stick around to gaze upon her snout.